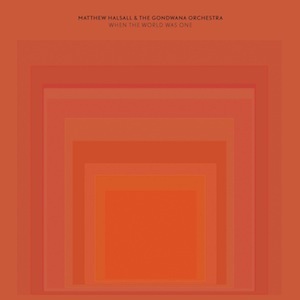 Mancunian trumpeter and modal jazz champion Matthew Halsall returns with an album that places the emphasis very much on eastern musical horizons and the result is arguably his most harmonious recording thus far. The Gondwana Orchestra is made up of some familiar names, including long-time fellow modal maestro Nat Birchall on soprano and tenor saxophones and excels in his role of sideman, albeit one with a major role, Gavin Barras on acoustic bass, and Rachael Gladwin on harp. However, the reposing Japanese koto aound of player Keiko Kitamura is a very welcome addition to the ensemble and one that takes the overall sound in a slightly different direction. Likewise Lisa Mallett, who has regularly performed in world roots orchestras in the north-west, finds her natural spiritual home here with some lovely Indian bansuri flute playing that Pandit Hariprasad Chaurasia would heartily approve of. Factor in drummer Luke Flowers who has been a regular member of the Cinematic Orchestra and you have a new formation that takes Halsall slightly away from the 1960s modal musings from which he is best known at this stage in his career and into more exploratory territory. One of this writer’s favourite pieces is the delicate number ‘A far way place’ with some fine bansuri flute from Mallett in tandem with the koto and this over a repetitive riff and sensitive use of percussion. Travelling in Japan has for Matthew Halsall served as the inspiration for ‘Kiyomizu-Dera’ where the trio of flute, harp and koto combine to marvellous effect and create a floating musical ambience par excellence. Of note is the inventive use of bass which sometimes sounds akin to a trombone. It should be stated that Halsall the composer is to the fore on this album while the trumpeter takes a more secondary role in the overall scheme of things. However, on the deeply melodic ‘Falling water’ where Birchall performs beautifully on soprano, after quiet a reflective passage including harp accompaniment, Halsall finally comes in for a restrained solo. For a welcome touch of variety. the mid-up tempo modal piece ‘Patterns’ provides a lovely contrast between flute and soprano saxophone and ‘Sagano bamboo forest’ is a soprano-led number with modal flavours. If here Japan serves as the thrilling backdrop to this recording, then Matthew Halsall should seriously consider devoting future albums to other parts of southern Asia including the Indian sub-continent.